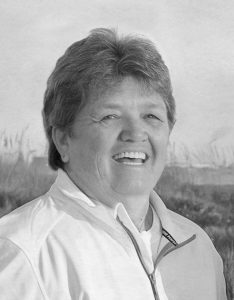 Linda D. Brooks, 65 of Merrimack, NH passed away Friday Aug. 8, 2014 at Dartmouth-Hitchcock Hospital in Lebanon, NH after a long courageous battle with cancer. She was born in Manchester, NH on Feb. 5, 1949, a daughter of the late Leon J. and Theresa (Janelle) Perozzi of Merrimack, NH. Linda was a long time resident of Merrimack and graduated from Merrimack High School in 1967. She married her high school sweetheart, Richard C. Brooks Sr., that same June. She was a devoted communicant of Our Lady of Mercy Church. She was a project manager for Goodman Industries in Manchester, and had formerly worked in various positions for over 24 years at Digital Equipment, HP, and Compaq. 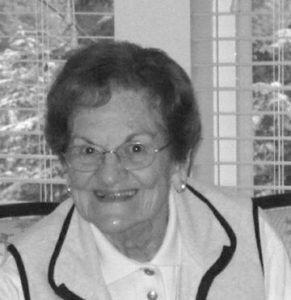 Linda was a devoted wife, loving mother and grandmother and a close friend to many. She touched many lives and inspired all who knew her with her hardworking, dedicated and caring spirit. She loved traveling and experiencing all life had to offer but especially loved spending quality time with family and friends. She will be deeply missed and there will be a great void for many friends and family alike. Members of her family include her husband of 47 years, Richard C. Brooks Sr. of Merrimack, son Richard C. Brooks Jr. and his wife Leeann of Windham, NH, daughter Kelli Wright and her husband William of Nashua, four grandchildren, Christian and Lily Brooks, Alexander Pelczar, and Rushton Wright; two brothers and their wives, Robert and Donna Perozzi and Albert and Dixie Perozzi; a sister and her husband, Paulette and John Boyer; extended family of two sister-in-laws, Patricia and husband Gary Hodge, and Barbara and husband Mathew Publicover; and four brother-in-laws, Michael and wife Cathy Brooks, Paul and wife Brenda, Donald and wife Carol Brooks and Jeffrey Brook,s and a large number of nieces and nephews on both sides. Calling hours were at the Rivet Funeral Home, 425 Daniel Webster Hwy, Merrimack on Tuesday Aug. 12 from 2-4 & 7-9 PM. A Mass of Christian Burial was celebrated in Our Lady of Mercy Church, 16 Baboosic Lake Road, Merrimack, Wednesday at 9:30 AM. Burial followed in Last Rest Cemetery, Merrimack. Those who wish may make memorial contributions to the American Kidney Foundation or the Carcinosarcomas Research Fund. For more info or to sign an online guest register go to www.rivetfuneralhome.com.